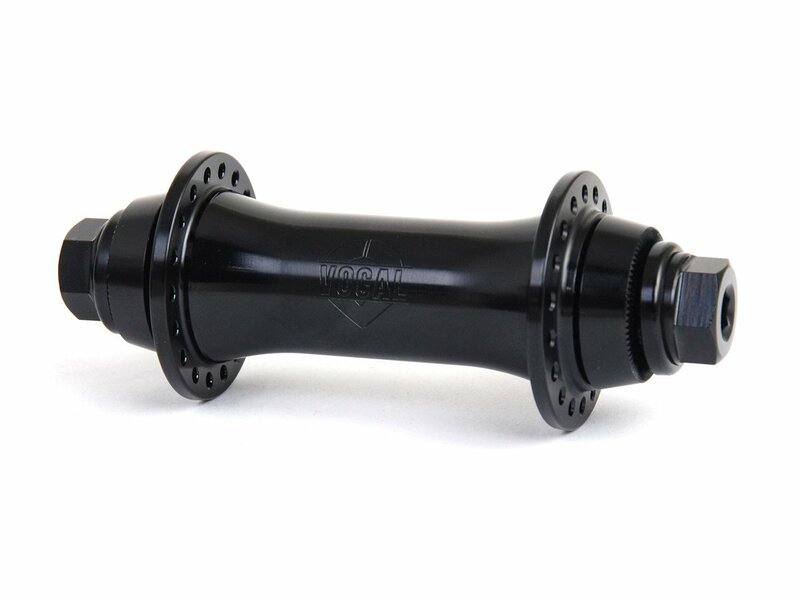 The Vocal "Hitchhiker" Front Hub is a really clean looking Fronthub. The thick flanges improve strength. 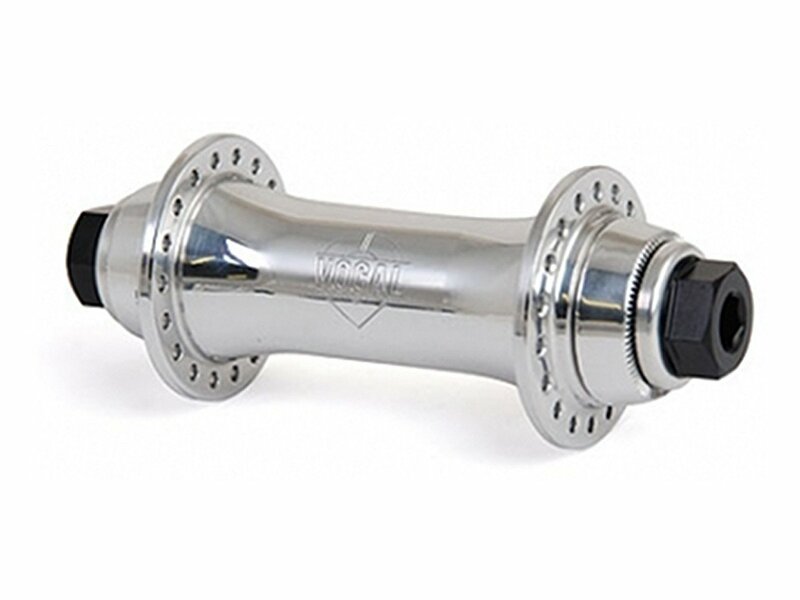 The Vocal "Hitchhiker" Front Hub has 17 mm bolts with alloy cup washers and a 8mm allen key fits also.